We all know by now that backlinks are the foundation of successful search engine optimisation or SEO. Sounds rather easy, but there is a bit more to it than just creating hundreds of backlinks all over the internet. There are good and bad backlinks and often, a bad link, or too many backlinks, will end up doing more harm than good. How do you ensure you are getting the maximum return from the backlinks you use? Let’s take a look at five simple techniques you can employ to boost your backlinks and improve your SEO. Before you can tackle the competition effectively, you need to know more about their content, techniques, backlinks and shares over social platforms. If they are ranking high on search engines, they must be doing something right. Understanding this, and taking the best ideas from them, will give you a distinct competitive advantage. There are a number of tools available to help you with this so take advantage of them. Ahref has to be the most useful and will give you valuable insight. BuzzSumo and EpicBeat will give information regarding shares of social platforms that you can use to your advantage. 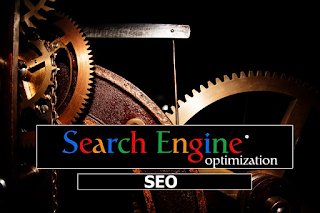 To help with your research and execution, look at SEO backlink sites like Linkprocessor. There are many other tools, most with free options. Take the time to get to know them and get the information you can use. Knowledge is power. All the backlinks in the world, in all the right places, is going to be of little help if your content is poor. Find the niche you wish to develop, do your homework (yes, more research) and create content that is well written, interesting and relevant. Only then can you start driving people towards it. Your research would have already turned up a number of relevant blogs that your competitors are using. Join them and get to know a little bit about them. Offer your content, where relevant, to the webmaster. The more often you do this, the more time you will get a yes. Ensure you have got the relevant backlinks to your website. This form of guest blogging is one of the most effective ways to attain high quality, authoritative backlinks. You have already created the content, although you might have to tweak it slightly, but the rest is easy. You can also post comments with backlinks once you are recognised on the blog. You have done your research and know your topic well. Start sharing your valuable insight and opinions with others. Join popular platforms such as LinkedIn, WikiHow, Yahoo Answers and Quora. Find those sections relevant to your area of expertise and get involved. Post answers to questions and share insight. Do not try too hard to self-promote initially, create some credibility and a reputation. Slowly you can start to include backlinks, one you have established yourself. You can also use all of this information and interaction to build a comprehensive Q & A page on your site. This will give you another opportunity to backlink and will be especially powerful in voice searches, as these are often posed as questions. Look at the areas in which you do, or wish to do, marketing. Search and list all the directories, search engines and review sites. Ensure they are quality pages and relevant to your niche and post your details on these pages. Do not forget, the SEO tools you have employed will have already exposed many such pages your competitors are already using. Make sure you are on them. Never forget that SEO is not something you do once, it is an on-going process. Backlinks, while very important and most effective, are just one of the tools available for good SEO. Keep an eye on changes in the market, the SEO dynamics and your competitors to keep your ranking high. With good research, use of the tools available and generating effective, quality backlinks, there is no reason you should not come up tops in a search on your niche.